Possible to use a Laser or Cheshire collimating tool on old Coulter Optical fast Newtonian scopes? I am a new member. I just appended a response to an old forum regarding Coulter Collimating Eyepieces, but maybe this over 5 years old? Sorry, I think I just need to enter a fresh post in my case. I have a CT-100 (4" F3.5) and a 10.1" Coulter Odyessy Compact Dobsonian. In both of these Coulter scopes, the secondary mirror is permanently fixed and cannot be adjusted. I just have the 3 primary mirror adjustment screws to toy with in both cases. I have the Coulter Collimating Eyepiece kit discussed in that old forum. It seems okay. I have not used the Ronchi screen for collimating yet, only the peep hole. With the CT-100, once I center the diagonal, I decentered the diagonal reflection with a quarter counter clockwise turn per the instructions from 1979. But I was wondering if a laser collimator would work on these two Coulter scopes, since the secondary mirror cannot be adjusted and the diagonal reflection needs to be decentered per Coulter's instructions. Any Coulter owners out there with collimating experience with these scopes? BOTTOM LINE: Can these two scopes be OPTIMALLY collimated? But with either a Laser Collimating Tool or absent that, a simple Cheshire Collimating tool, remember, the FROZEN secondary mirror will shortchange perfect collimating adjustments. Maybe I just need to go back to the original Coulter peephole eyepiece, center the primary secondary image, then back off to slightly decenter the seconadary image as Coulter alliued to 30 years ago? Is there any to her approach. Unless I find a good mirror specialist, I really don't want to put a CENTER SPOT on either mirror. But do I have a choice. Both these scopes are aimed at resolving Omega Centauri from the Southern California deserts. I took the 4" Coulter CT-100 Tahiti in 1991 to see it. Could not resolve that glob with either the 25mm or 6 mm Kellner, which was supplied. Maybe if I had a 32 mm Televue Plossl or an 11 mm Televue, things would have been different. And the 10.1" Coulter Odyssey Compact could not resolve it either from Borrego Springs, California on several occasions. True, OC was 10 degrees above the southern horizon, but I could not see individual stars, only what appeared to be fine dust or haze, albeit LARGE. So with so many observations of Omega Centauri proving negative with two able telescopes, it has to be a collimating issue, right? Hello and to Cloudy Nights. It could be a collimation issue, that's for sure. Where are you in Southern California?? If you're close to San Diego, I could take a look at the collimation. 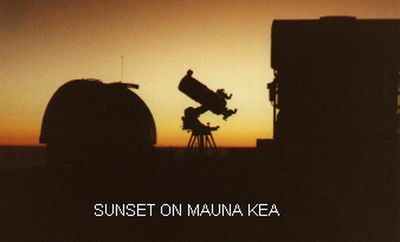 to see a "good" Omega Centauri will be difficult from here, Hawaii was awesome, even naked eye was great. But back to your scope, I am near Temecula if you want a hand. With a fast scope like your's the mirrors need to be right on for a good image. They also need to be off set (decentered per Coulter's instructions) because of the 4.5 curvature of the mirror. Like I said if you need a hand I am retired (not retarded) retired and can teach you how & why to do it. I have experience numerous nights when Omega Centauri was Crisp and clean for our place along the US-Mexican border. . 200x in a 20+ inch. Lots of so-so nights as well. One thing: Off setting the secondary is done to center the illuminated field, it does not affect the sharpness or resolution. Saw your two posts. Thanks for the offer. I am in the Los Angeles area and I do lug that 75 lbs Coulter 10.1 " Odyssey to Anza Borrego once or twice a year. To clarify, on all my trips to Anza Borrego, that 10" Coulter scope easily resolved M13! And M22 and M3, two visually smaller sized globulars were resolved. And I could resolve the Trapezim in the M42 Orion Nebula. This cardboard tube and wood device with a back trap door would have the mirror reinserted every time I set up. And the visual collimation seemed correct. And the results were great, except Omega Centauri. It may just be a combination of seeing conditions and thermal cooling issues with a wooden/cardboard Coulter scope. Coupled with Omega Centauri being 10 degrees above the horizon in Borrego Springs. Maybe I was just unlucky? But two other scopes were used. Both 4" inch scopes. The first, a Coulter CT-100 F3.5 "coffee can" reflector looked at Omega Centauri from both Hawaii in 1985 (Halley's Comet) and in Tahiti (Bora Bora) in 1991. No luck in resolving despite OC's high altitude in the sky. In Bora Bora I looked for 4 nights, all clear. Might have been the two cheap helical focusing Kellners that came with the CT-100 in 1979? Now I have added a Borg helical focuser to accomodate a Televue Nagler and Plossl. I was able to resolve the Trapezim from Los Angeles just last night. As for the other 4" inch scope, I used a Meade 2045 Schmidt Cassegrain in Borrego Springs last year on Omega Centauri. Viewed it at F10 and with a focal reducer (F6.3) using the 32 mm Plossl and the 11mm Nagler. No resolution on a glob the size of the full moon. Go figure. Being in Boulevard and viewing Omega Centauri from the Mexican border thru a 22 incher tells me you go to the San Diego Astronomers place at Tierra Del Sol. To see OC from there must be spectacular! Never have been there. Observing Omega Centauri at 10 degrees elevation is definitely a hit and miss operation. Most of the time it is less than optimal but occasionally everything comes together the views are quite sharp and clean. But even then the atmospheric extinction and low level light pollution mean the background sky is relatively bright. It doesn't have that contrast that M13 or M22 does. And in a 4 inch, even Omega Centauri is still a challenge to resolve, small scopes and resolving globulars are a poor mix. Thanks also for the feedback. I am lucky to have two people helping me. Always appreciated! I collimated my two Coulter fast reflectors using their Performance Kit, which is a peephole eyepiece and a Ronchi Screen eyepiece. With both scopes, I centered the secondary image in the primary mirror first, using the peephole eyepiece. For the CT-100, f3.5 "coffee can" 4 inch reflector, I then followed Coulter's instructions to decenter the secondary by turning the vertical cell adjustment screws 1/4 turn clockwise. I then used the Ronchi Screen eyepiece to test an out of focus star, to see if 4 bands were parallel. They were, so by Coulter's theory, the scope is collimated. I then used a 11mm Nagler to resolve the Trapezim in Orion. It worked. But can it resolve Omega Centauri from dark southern skies, like Hawaii or Tahiti? For the 10.1" Coulter Odessy Compact, I slightly offset the secondary by turning the vertical cell adjustment screws, but Coulter did not specify how much to turn the screw. The offset diagram in their instructions were exaggerated by their own admission. I tested the Ronchi Screen Eyepiece on that scope and got the 4 parallel bands. And I was able to resolve Trapezim and M13. But can I resolve Omega Centauri from Borrego Springs? If I can resolve M13, then my scope should be collimated, right? Should I be using either a Laser Collimator or a Cheshire Collimater instead? And how can I optimally decenter the secondary, if Coulter did not specify the exact screw turns? Just saw you last post (March 21, 2019 at 7:08 PM). Very eye opening for me on multiple points you raised. First, regarding Omega Centauri being a hit and miss operation at 10 degrees above the southern horizon. Especially with a 10" Dobsonian, which has poor cooling down properties in May hot nights in Borrego Springs. That is probably it. I need to spend a week observing, maybe in the Anza Borrego desert? Second, regarding the chance of resolving Omega Centauri with a 4" scope was my fault. Yes, I know globulars can only be resolved with an 8" instrument or more .Which I proved as a teenager in 1962, when I first resolved M13. But Omega Centauri is supposed to be 4 times the size of the full moon in angular diameter. Maybe more? So, I really thought with a 4" glass, I could at least partially resolve Omega Centauri from the tropics with those dark skies for contrast. And I tried in in Hawaii and French Polynesia, namely Bora Bora. A long time ago when I was younger! So maybe that is it. It's the seeing conditions for objects very close to the horizon that need resolving. I have just been unlucky with Omega Centauri. Even with a big 10" fast reflector. Thanks for sharing your thoughts. Maybe, I can find an astronomy club that holds regular star parties. Again, thanks for all of your input. Here is a question for you: Is it important to resolve Omega Centauri in your scope or would resolving it in someone else's scope be sufficient? Maybe we could get together this next new moon.. I can break apart Omega Cent with a 4" here in FL. Just the best looking glob ever with a dusting of tiny stars. I would like to see OC resolved in any size scope. The more scopes I can see OC, the better. That way, I will know what to expect in my three scopes, especially my 10.1" Coulter Dob. Your offer is much appreciated ! Are you with the SDAA? Please email me your contact info to johnhunady@hotmail.com. Is it just once a month during new moon that you guys set up? Please Advise and Many Thanks! Thanks for chiming in! Being in Tampa, Florida tells me you can see Omega Centauri better than me at 16 degrees above your Southern horizon. The best I can see OC from Cali is about 10 degrees. Can I ask what type of 4 inch telescope you used to resolve OC? My hunch would be a refractor. Fast optics? No secondary obstruction means better contrast. Please confirm. It was years ago in 1987 with a 4" F/15 Unitron built around 1960. This was at Chiefland around a 100 miles north of Tampa. Need a dark sky to do it well in a 4". Edited by CHASLX200, 25 March 2019 - 07:05 PM. Focuser collimation? Or just tension?